In the Philippines, there’s a good chance that your neighbor’s pldt or globe wifi might be using the default password on their modems. Also, these default wifi passwords can be generated using the wifi network’s ssid. 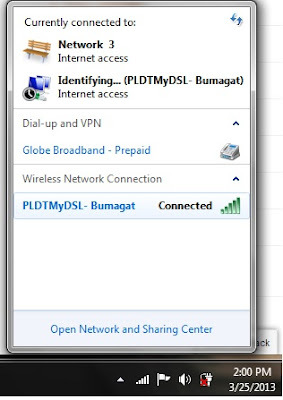 With that said, below are the ways or techniques you can use to crack your neighbor’s wifi password.... 29/10/2014 · How to change the wifi name and password of the PLDT Home Fibr Modem As I've said on my previous blog, I recently had PLDT Home Fibr installed in our provincial home in Batangas. I wasn't home when the field tech installed the service so when I came home, the wifi name and password was already configured. It’s also a good idea to change your PLDT Home DSL WiFi Name and Password regularly to refresh your connection and to make sure that only authorized devices are connected. 29/10/2014 · How to change the wifi name and password of the PLDT Home Fibr Modem As I've said on my previous blog, I recently had PLDT Home Fibr installed in our provincial home in Batangas. I wasn't home when the field tech installed the service so when I came home, the wifi name and password was already configured. I change the default password of pldt mydsl but i forgot my password and i want to reset and change a new password and i dont know how pls help? 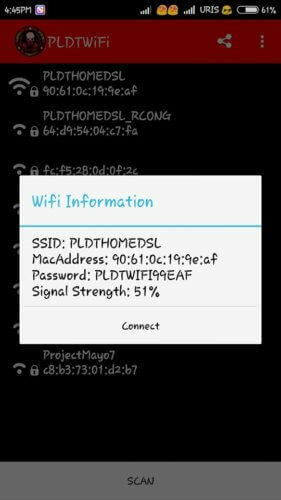 - Pldt mydsl change password How to know current wifi password pldt mydsl?